Comprised of glass and copper panels framed in delicate, functional copper caming. Pointed hats form the shape of an elongated octagon. A perforated accent that conceals the socket cover adds a unique layer of texture and can be customized to complement or match the finish of the raw copper. The Hayes Garden Lamp is designed to provide elegant indoor or outdoor lighting that projects light in a prismatic fashion whether casting light out or as sunlight passes through its facets. 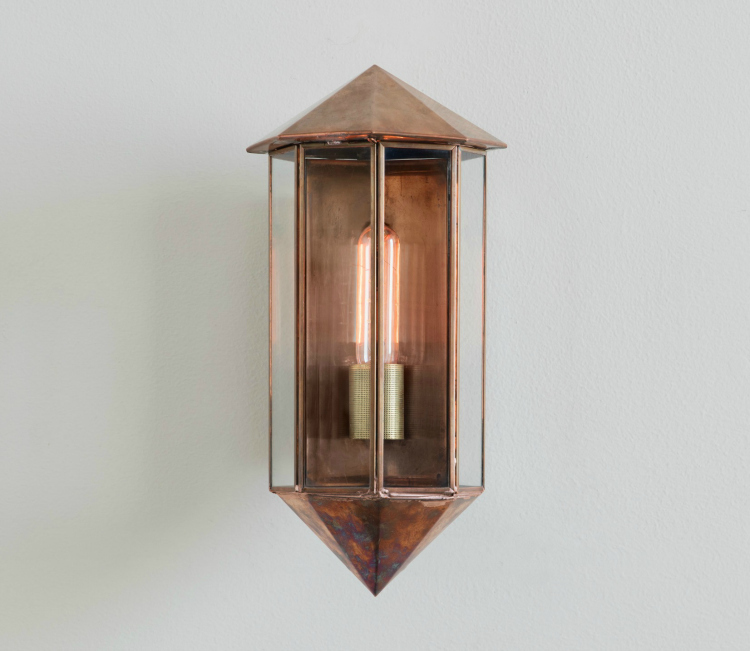 Fixture available in raw copper and raw brass only. See our finish chart for swatches. Versatility. The Hayes is an indoor or outdoor option that lends beauty to any space. Functional. 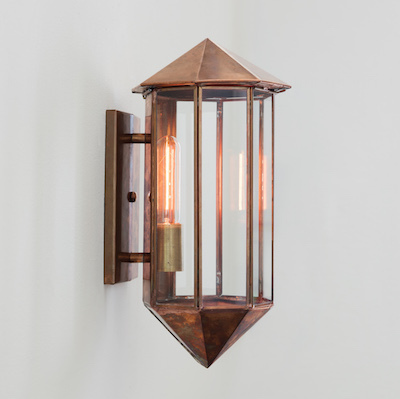 Illuminate an entryway, outdoor living space, or an interior room with this old world charmer. Elegant. 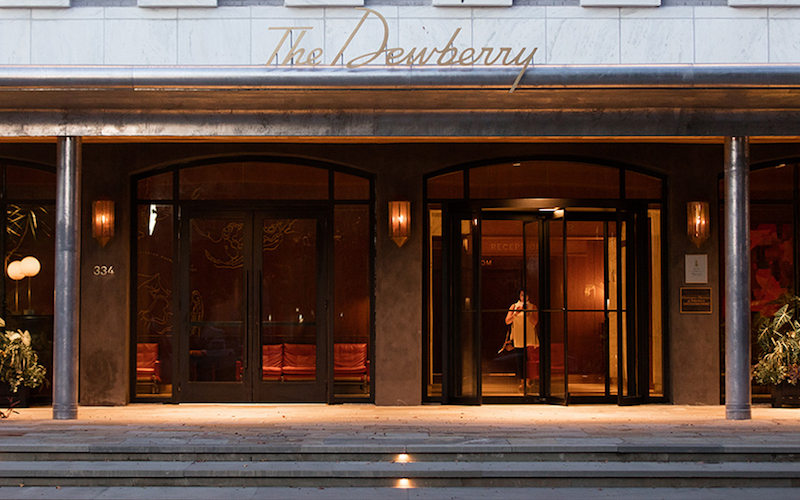 Striking lines enhance the prismatic effects of light dispersion.